According to AboutCar, Kia presented this sketch of a Hyundai Genesis-based RWD sedan in Korea last week. 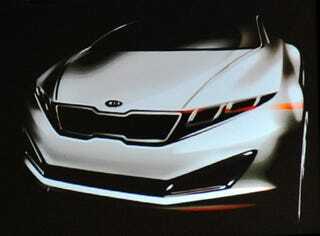 The Kia K9 is expected to first birth a concept, then a production model during 2011 using a 385 HP V8. Update!